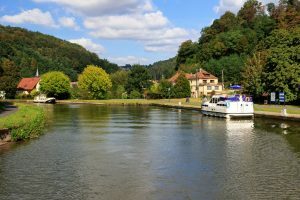 Alsace Moselle’s fishing ponds, as well as the historic towns along your route, are all possible stopping points to choose as you plan the itinerary for your next waterway cruise. 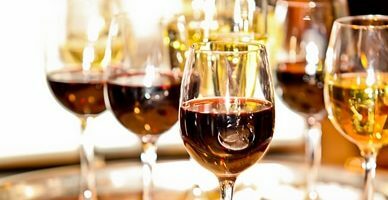 The diversity of the region will surprise you, and whether you’re embarking on a romantic cruise or choosing a rental houseboat for a family holiday, you can be sure to meet everyone’s expectations. 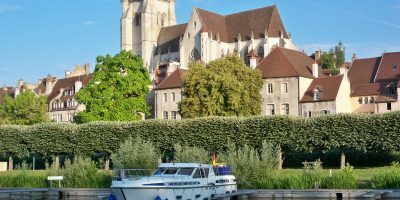 From Languimberg - Port du Houillon Languimberg is an ideal starting point for a weekend or week away with friends or family if you’d like to indulge in the pleasures of waterway tourism. From Waltenheim sur Zorn As its name suggests, the small town of Waltenheim sur Zorn is situated in the picturesque Zorn Valley. By choosing our base as the starting point for your waterway cruise, you’ll be opting for a site at the junction of several trails and waterways. 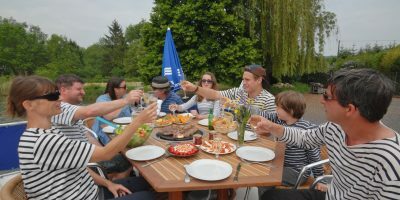 Navigating Alsace Lorraine on my houseboat…. 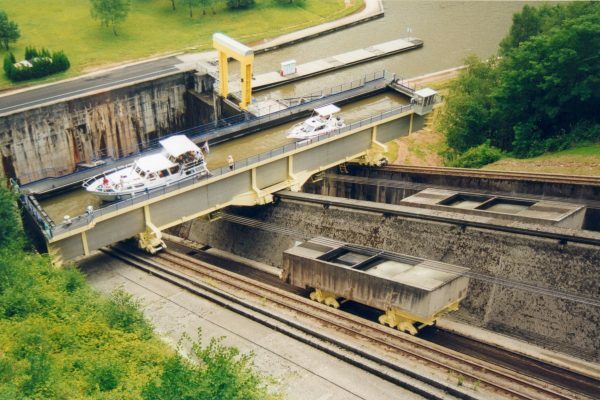 Canal de la Sarre, Marne – Rhine Canal, …. 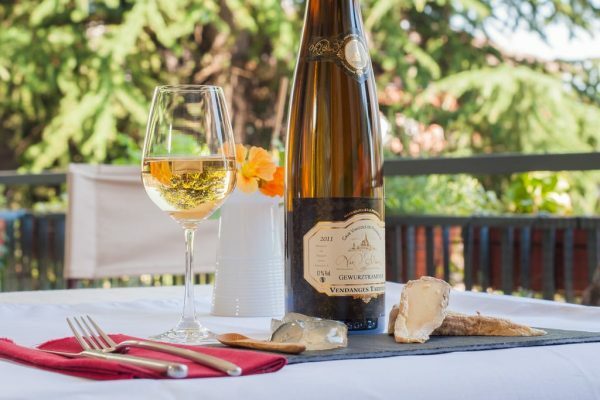 Hun­dreds of kilo­me­tres of routes await you if you choose water­way tourism in Alsace Lor­raine for your next hol­i­day. 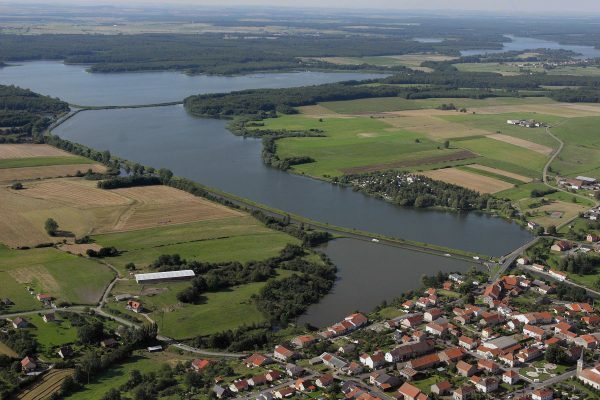 From Pont à Bar in the Ardennes to Wal­tenheim sur Zorn or indeed Lan­guim­berg in Alsace, sim­ply head to one of our water­way bases to pick up your house­boat. We’ll help you put togeth­er your itin­er­ary and we’ll also train you in han­dling your house­boat. Embrace the sooth­ing rhythm of a water­way cruise as you admire these land­scapes inter­spersed with green val­leys and wind­mills. As always, trav­el­ling through the locks will be one of the cruise high­lights for your youngest boaters. Head towards the Saint-Louis-Arzviller inclined plane and your whole crew will mar­vel at the unique expe­ri­ence of tak­ing this lift in your rental boat. Here, as with every­where else in France, the water­way her­itage is very much part of the charm of water­way tourism. You’ll also be able to enjoy a whole host of oth­er plea­sur­able activ­i­ties dur­ing your cruise, for exam­ple the chance to take a break on an ATB bike ride, fol­low­ing your house­boat along the tow­paths. In addi­tion to the wealth of human genius to dis­cov­er as you nav­i­gate the Canal de la Sarre – tes­ti­mo­ny to the region’s great indus­tri­al saga – there are also many his­tor­i­cal trea­sures. You’re sure to nav­i­gate your way to the Alsa­t­ian cap­i­tal : Stras­bourg. Notre Dame cathe­dral is one of the key sites to vis­it dur­ing your time in the city – the mag­nif­i­cence of its Goth­ic art can­not fail to amaze you. Don’t miss Kam­merzell House, the cov­ered bridges and half-tim­bered build­ings, and lose your­self in a city with­in the city, built on the water : Petite France.